Campbell is currently a clinical pharmacist at Duke University Hospital. She maintains a clinical practice in both inpatient and outpatient electrophysiology. She is also a Senior Research Associate with the Division of Electrophysiology and the Program Director of the PGY-2 cardiology pharmacy residency. Campbell received her Doctor of Pharmacy from the University of North Carolina at Chapel Hill and completed a PGY-1 residency and PGY-2 cardiovascular specialty residency at UNC Hospitals. Saseen is Professor of Clinical Pharmacy and Family Medicine, and Vice Chair for the Department of Clinical Pharmacy at the University of Colorado Anschutz Medical Campus and is the program director of the PGY-2 ambulatory care residency program. He received his Bachelor of Science in Pharmacy and Doctor of Pharmacy from the State University of New York at Buffalo and completed a fellowship in ambulatory care research at the University of Colorado Health Sciences Center. Dr. Saseen’s research focuses on pharmacotherapy of chronic diseases, health outcomes research, and expansion of clinical services in ambulatory care. Beavers is the cardiovascular clinical pharmacy coordinator at University of Kentucky (UK) Healthcare and assistant adjunct professor with the UK College of Pharmacy. He graduated from UK College of Pharmacy and completed a PGY1 pharmacy practice residency and PGY2 cardiology pharmacy residency at UK Healthcare. He served as the director of cardiovascular services for the Hospital Corporation of America and as PGY2 cardiology residency program director at TriStar Centennial Medical Center. He has published numerous papers, abstracts, and textbook chapters focused on cardiovascular pharmacotherapy. He is a certified anticoagulation care provider. DiDomenico is a Clinical Professor in the Department of Pharmacy Practice, Affiliate in the Center for Pharmacoepidemiology and Pharmacoeconomic Research at the University of Illinois at Chicago (UIC), and Cardiovascular Clinical Pharmacist at the University of Illinois Hospital. He is also the Residency Program Director for the UIC PGY-2 cardiology pharmacy residency. DiDomenico received his Doctor of Pharmacy from the University of Illinois of Chicago and completed a PGY-1 residency and a Cardiovascular Pharmacotherapy Fellowship. He has co-authored more than 100 peer-reviewed articles, book chapters, and abstracts on topics related to cardiovascular pharmacotherapy and has gained national recognition as an expert in the areas of heart failure, anticoagulation, and coronary artery disease. Dr. Hollis is a Clinical Pharmacy Specialist in Advanced Heart Failure (including LVAD and Heart Transplant) and Cardiac Surgery at the University of North Carolina (UNC) Hospitals. After receiving his PharmD from The Ohio State University, he completed a PGY-1 Pharmacy Practice Residency at the University of Michigan Hospitals and a PGY-2 Cardiology Residency at UNC. He has been the Program Director for the PGY-2 Cardiology Residency at UNC since 2013. His research interests include the med management of heart failure, LVAD, and heart transplant patients. Lindsley is a Clinical Pharmacy Specialist in the Cardiac Care Unit at The Johns Hopkins Hospital and serves as the Program Director for the PGY-2 cardiology residency. He graduated from Rutgers University College of Pharmacy and completed a PGY-1 residency at UC Health University of Cincinnati Medical Center and a PGY-2 residency in Cardiology at The Ohio State University Medical Center. His professional interests include acute decompensated heart failure and electrophysiology. 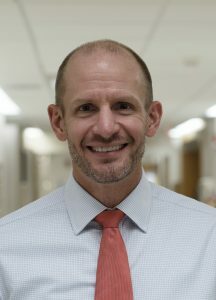 Pogue is a Clinical Pharmacist Specialist in Cardiology at the University of Michigan Health System (UMHS) and Adjunct Clinical Assistant Professor at the UM College of Pharmacy. After receiving her PharmD from Wayne State University she completed both her PGY-1 Pharmacy Practice and PGY-2 Cardiology residencies at UMHS. She has served as the Program Director for the PGY-2 Cardiology residency at UMHS since 2018. Her professional interests include pulmonary arterial hypertension, advanced heart failure and transplantation, and antithrombotic management in cardiovascular disease. Spinler is Professor and Chair, Department of Pharmacy Practice, Binghamton University School of Pharmacy and Pharmaceutical Sciences, Professor Emeritus, Philadelphia College of Pharmacy, University of the Sciences, and Adjunct Professor of Pharmacy in Medicine, Cardiovascular Division, University of Pennsylvania. She received her Bachelor of Science and Doctor of Pharmacy degrees from the University of Minnesota in Minneapolis. She completed a pharmacy residency and research fellowship in cardiovascular critical care pharmacy at the University of Illinois at Chicago. Dr. Spinler has authored more than 300 research articles, reviews, and book chapters and given more than 400 continuing education programs in the area anticoagulants, venous thromboembolism, acute coronary syndrome and antiplatelets. Stadler practices as a clinical pharmacy specialist with the Clinical Pharmacy Cardiac Risk Service at Kaiser Permanente of Colorado. Her current responsibilities include risk factor management for secondary prevention of atherosclerotic cardiovascular disease for a panel of 1100 patients under a collaborative drug therapy management agreement. She also holds faculty appointments at the University of Colorado Skaggs School of Pharmacy and Pharmaceutical Sciences and Regis University School of Pharmacy. Stadler received her PharmD from the University of Wyoming and completed a managed care pharmacy practice residency in Kalamazoo, Michigan.